Equilibrium exist where supply and demand curves cross. it is a situation whereby supply nd demand are equal at the prevailing price. Equilibrium price : Formula; equilibrum price equals supply equals demand. 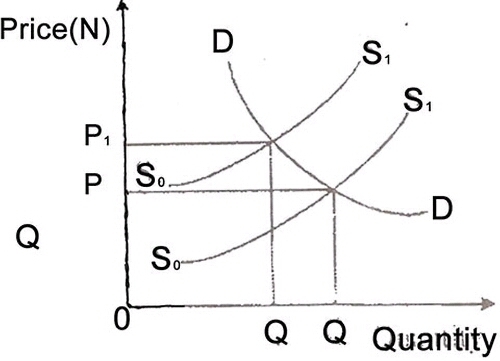 The diagram shows dat equilibrium price will increase while equilibrium quantity will decrease. and how did u knw DAT? ?